The Whittier neighborhood is 81 square blocks one mile south of downtown Minneapolis. Whittier is bounded by Franklin Avenue to the north, Interstate 35W to the east, Lyndale Avenue South to the west and Lake Street to the south. Approximately 14,000 people live in Whittier. 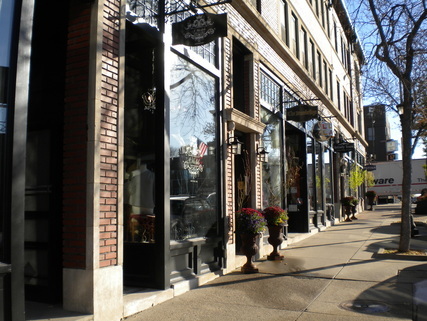 The neighborhood is most famous for the Nicollet Avenue commercial corridor, known as ‘Eat Street’ – in fact many people describe themselves as living in the ‘Eat Street neighborhood’. The multicultural dining options include great Vietnamese, Chinese, Middle Eastern, Somali, Carribean and American – and that is leaving out many other restaurants and the amazing ethnic groceries. Our Eat Street guide can spark further exploration. Lyndale Ave, Franklin, Lake Street and 26th St are also commercial corridors, shared with other neighborhoods. The dense commercial corridors are part of what makes Whittier so special, especially in summer when people spill out on the sidewalk cafes and neighbors sit on front stoops and chat to passersby. Whittier is a vibrant, multicultural community: its slogan is 'The International Neighborhood'. It also has been a home base for the arts and artists in Minneapolis for around 100 years. Go on a ‘dumpling crawl’ along Eat Street – once you have sampled the Szechuan Wontons, Taiwanese steamed buns, German spaetzle, Somali sambusas, Malaysian popiah, Italian calzone, Vietnamese Goi Cuon and Mexican taquitos, you can say you really know the neighborhood. Two of the best record stores in the Twin Cities are in Whittier – have you visited them all? Go walk around the Minneapolis Institute of Arts: admission is free and they have an amazing collection. One of their night-time Third Thursday events is a good place to start. While you’re at it, check out some of the smaller galleries down the street –​ Light Grey Art Lab and the MCAD Gallery are also free and regularly feature stunning exhibitions. Go see a show at Jungle Theater or Children’s Theatre Company. Spend an afternoon exploring the Midtown Greenway. Check out what is probably the largest East African marketplace in the United States. Check out some local history at the Hennepin History Museum. Most importantly, sign up to the Whittier Alliance email list to hear about events, community meetings and neighborhood news every month! 19% of residents are foreign born. Only 62% of residents use a car to get to work!